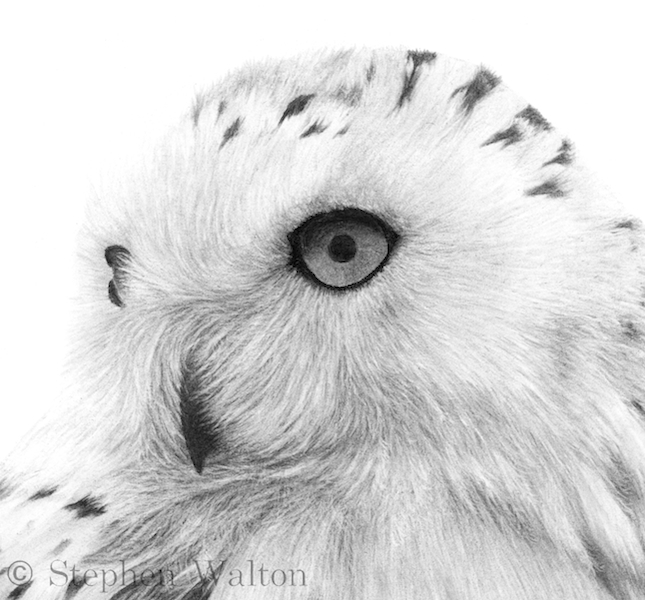 A close up view of my charcoal snowy owl drawing. It's always a challenge to create the structure of the feathers on the Owls face and probably the most important part of the picture. Its certainly the most enjoyable bit of the drawing for me.